WHY CHOOSE A PERSONALISED PICTURE COFFIN ? 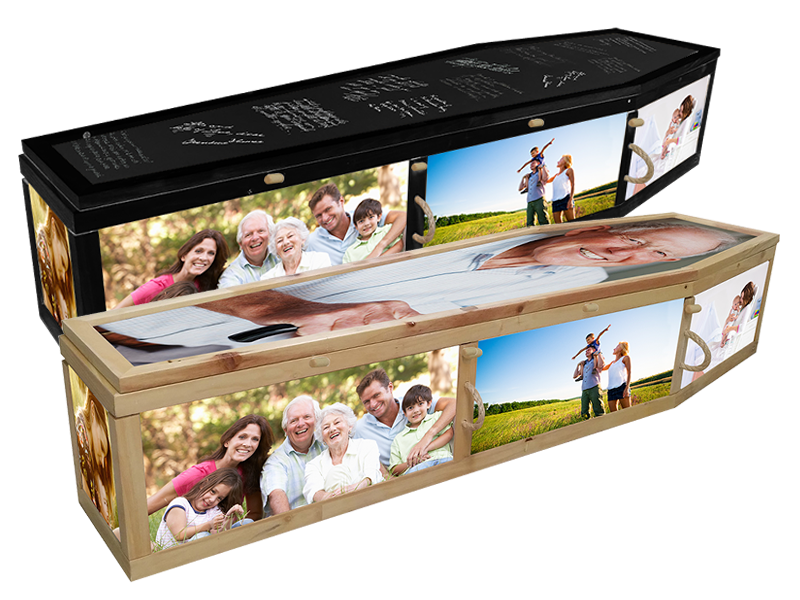 We offer a personalised design service for a Pathway or Picture Coffin that lets you create a one-off piece of art that celebrates the life of your loved one. Choose to have a complete bespoke design from scratch or be inspired by some of our own in-house designs on our website. There are no limits other than your own imagination. The Pathway coffin offers something no other coffin or casket design does; the opportunity for friends and family to collaborate in its design across its separate side and end panels, and the lid. The Pathway® panels can be created from a range of materials such as soft tactile fabric or clean printed panels and finished with either a blackboard, whiteboard or picture lid allowing an even wider circle of friends and family to share memories and messages. 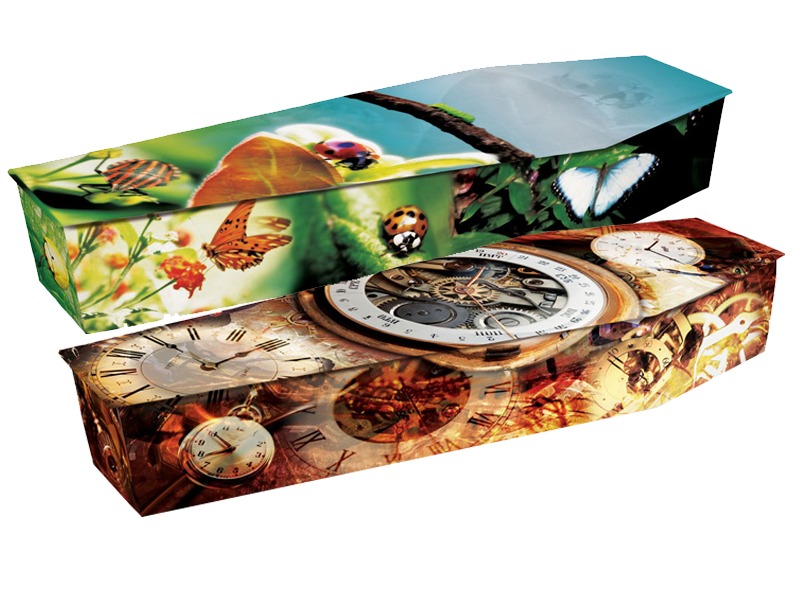 Picture coffins are manufactured using bio-degradable materials, with images printed on to paper which is wrapped and bonded onto the coffin. You can choose from a range of designs or provide your own images. For families who want to capture a loved one's personality, passions and pastimes in a truly unique way. Mum loved the outdoors and nature. She was very environmentally conscious. When we looked at your Eco friendly coffins we knew we’d be able to find something perfect for mum. It made such a sad time a little easier as we know she would have loved it. I loved the design on the picture coffin, it really captured my mother’s hobbies. She loved bowls, and to have the bowling green on was a wonderful way to say goodbye. We wanted to say goodbye to our sister Helen, but in something that was more than just ‘a box’. The different choices that were available in all styles was fascinating. We chose a beautiful American-style Casket and also got a separate keepsake in her memory. May we take this opportunity to thank you for taking a look at our products today. We hope everything we have to offer gives you a wider insight to the range of coffins and caskets available when contacting your local funeral director.